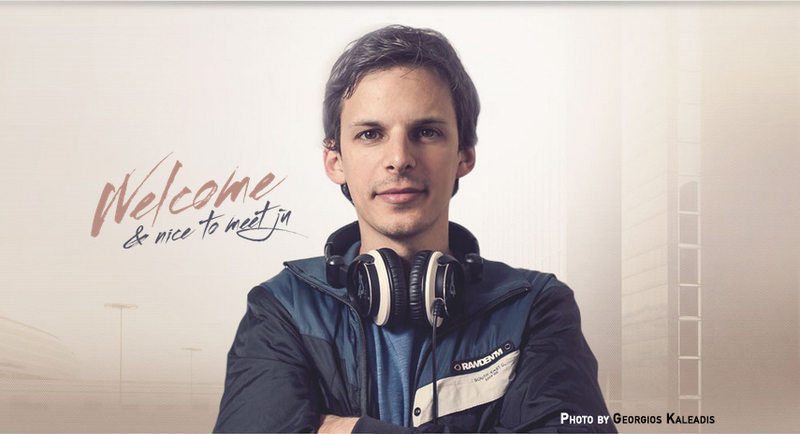 Julian “DJ Ju” Joppig is a DJ and producer from Munich, Germany. Beginning his craft at a turntable-equipped youth centre in his teens, Julian was signed to a German Hip-Hop label and began working in advertising when the band broke up. In addition to his work as a DJ, Julian has found success producing music for ad campaigns as well as for television. He’s worked with Audi, Swarovski, and Ricola’s international “Your Life is a Hit” campaign. WaveDNA caught up with Julian to discuss his use of Liquid Rhythm, his career, and the blending landscapes of music and advertising. To learn more about Julian, you can visit his website here. How did you first get into DJing and when did it become more than a hobby for you? As a teenager and in my school days, I used to go to a youth centre in a small suburb of Munich. This place was quite inspiring and it was my “DJ school”, so to speak, because it was a melting pot of different people, nationalities, music lovers, DJs, musicians, and bands of different kinds. There, I became familiar with a lot of different musical styles and people, and got to know DJs who played regular parties and Hip-Hop jam sessions, or were part of bands, and who had scratching skills. As the youth centre was equipped with turntables, I had the chance to practice and start saving for my own pair of Technics. From then on, DJing became an integral part of my life. I started to practice a lot, play at local parties, and founded a Hip-Hop band with some friends. This way we got into music production, produced our first tapes and vinyl records, played shows in Germany and Austria and got a record deal with a Hip-Hop label. After school, the paths of the band’s members parted and I started to work in advertising and music, and decided to study later on. But DJing has always accompanied me and has become my side business, so to speak. Through contacts with other musicians and event agencies I had the chance to play in show bands, for example, for clients like Audi, Fossil or Wella ProFashion and continuously play corporate and private parties. How has your work in creative advertising affected your music? Through my work, my musical scope became wider, I would say. I listen to a lot of tracks from different genres and types of applications (websites, apps, games, videos, commercials, presentations) and I analyze them – which emotions they reflect, how they are arranged and orchestrated. I have a more conceptual approach when composing music for clients in terms of which sounds and instruments would fit perfectly for the given task. Tell us a bit about some of your clients and the music you’ve made for them. My clients include advertising customers, for example the Swiss brand Ricola, for whom a friend and I composed several tracks from different genres for an international Facebook App called “Your Life is a Hit”. The special thing about this app was that users could listen to songs which were created based on their Facebook profile data. For example, a Facebook user born in the 70s and located in France would listen to a Ricola Disco song with a French Horn solo part, whereas a Facebook user born in the 90s and located in Switzerland would listen to a Ricola Pop song with an Alphorn solo. This was quite a technical challenge! I also work for post production companies like Big Entertainment, where I compose music that is used in TV shows, or I DJ for event agencies. The cross-over between music production and advertising is really interesting and seems to be growing with the rise of content marketing. How can someone get started doing this type of work and where do you see the market for this headed in the future? Well, I can only speak for myself: On the one hand I have a formal marketing education. After school, I started to work in an advertising agency and decided to study Cultural and Business Studies afterwards. In the semester vacations I always worked for music and media related companies – for example, I worked for a Hip-Hop label, a Jazz publishing house, and a digital music promotion platform. These jobs provided practical know-how, good references, and contacts for my first permanent job in a music and media production house, which also had studio facilities and offered music production courses. So, guess what, after some years working for that company (and also attending the music production courses) I met my actual boss there (David Eicher, managing director of webguerillas) – sitting together with my former boss, discussing social networks. Funnily, it had turned out in the meeting, that my father was the bassoon teacher of David’s son…so, it’s a small world, and personal contacts are priceless. Be open, friendly, and willing to work; a door will open. From my experience, a good starting point to get a foot in the marketing door, build up know-how (via internships, vocational training, university studies, or whatsoever) and contacts with like-minded people. Be open, friendly, and willing to work; a door will open. The same holds true for all aspects of the music business. When music is your passion and you practice with good teachers and produce whenever you can – regardless if you earn money with it or not – you will automatically get better and your friends and colleagues will have you on their radar and recommend you to their friends and networks. To put it in a nutshell: Just do what you love – music – and connect the dots like Steve Jobs. You’ve mentioned that Liquid Rhythm played a large part in creating your track “Elefant”. What was the process of making “Elefant” and where did Liquid Rhythm fit in? Liquid Rhythm was literally the starting point for this song and its beat is 100% Liquid Rhythm. When I bought the plug-in, my plan was to compose a Dubstep-like track with changing synth parts. For the beat, I simply started browsing through the library, auditioning different Dubstep drum sounds. Then, I began messing around with different kicks, snares, hi-hats, created single tracks for each sound, used BeatForms from the BeatForm list for my arrangement and adjusted the tracks individually, which was a quick process due to the software’s features. For the melody, I had a synth motif in mind. I started jamming over the beat with some soft synths, and then I recorded the live guitar and bass tracks and added synth sound effects, which I created with an Arturia MicroBrute. The stomping, powerful beat reminded me of an Elephant’s walk. Funny enough, with all the synths in the middle part of the song, the final Logic arrangement also visually resembled the outline of an Elephants head with its trunk in the middle. So the name of the song became quite clear and the song melodies should leave room for interpretation, which experiences and encounters the Elephant makes along his way. The song was finally mastered by a Mastering Engineer, Dieter Pimiskern, in the Dorian Gray Studios. How would you like to see your career grow or change in the future? I aim to broaden my musical horizon and continuously improve my technical skills – through guitar, bass, and piano lessons, as well as studies in orchestration. Hopefully continue to compose a lot of music for different types of applications. Work as a DJ for more clients.